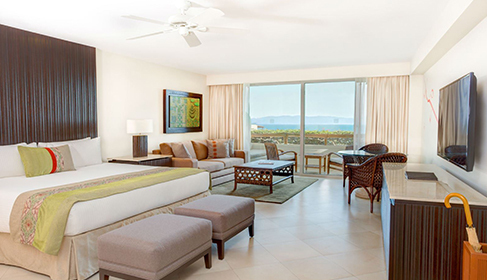 Feel stress melt away the moment you enter this open, airy suite. 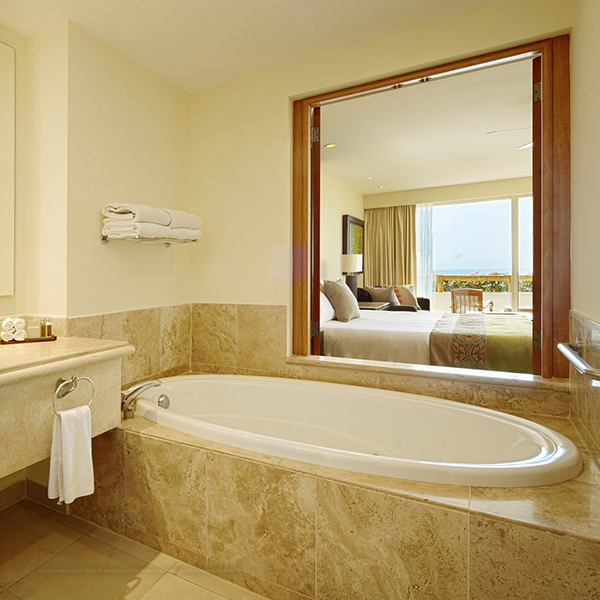 Relax in your indoor jacuzzi with luxury bath products and unwind on the terrace with sweeping views. 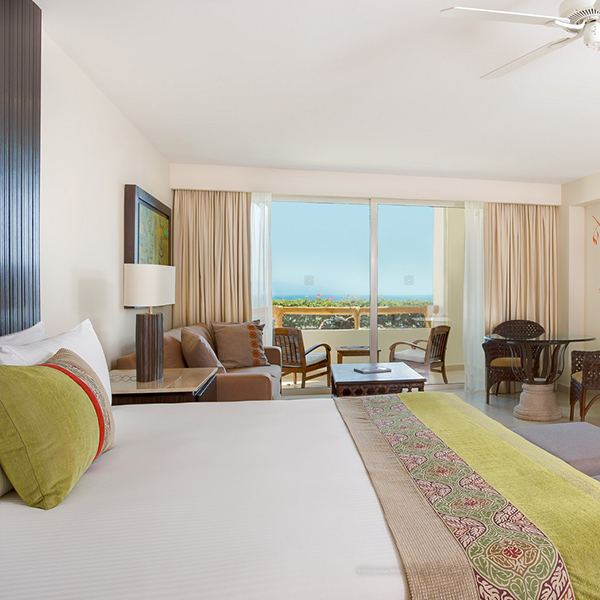 Perfect for a romantic escape or family getaway, our Master Suite is a tranquil retreat for enjoying the splendor of your surroundings. 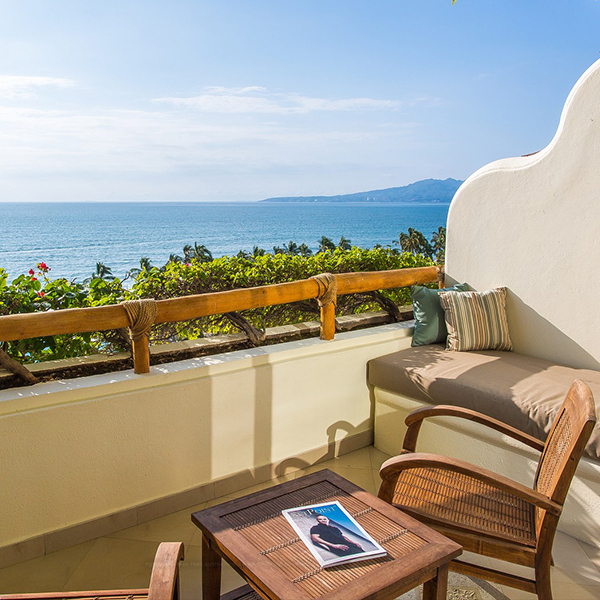 Soak up the sun on your terrace and enjoy stunning views and ocean breezes, then sleep peacefully in your plush king bed lulled by the sound of the waves. 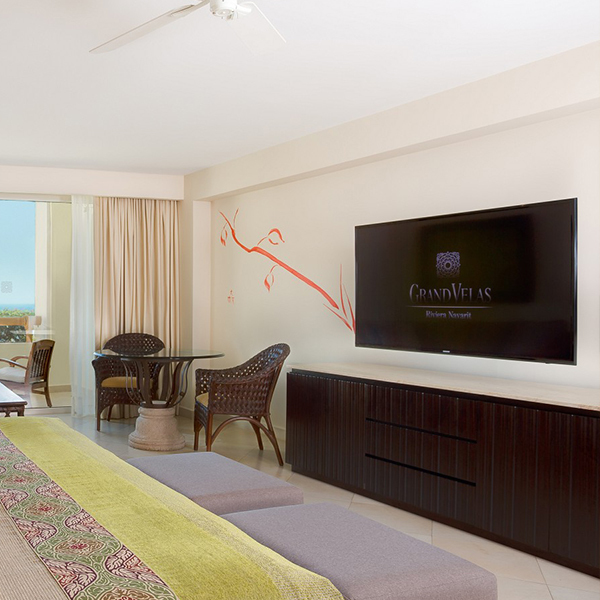 Unwind in the stylish sitting room with a cocktail from the mini bar or order a signature dish up to your room. Ideal for up to 3 adults, 1 minor (age 4-15) and 1 infant (age 0-3). 94 m2 / 1,011 sq.ft. Program of your choice: Baby Concierge, Digital Detox.